Otherwise,you can visit official website of JESC that is www.jesc.edu.bd. The main purpose behind the establishment of this institution was to meet the challenges of the future, building up confident and successful students by providing the education on latest knowledge, information, communication skills properly. If you want to apply for this job, you should submit your application within specific time. Jessore English School & College Job Circular converted to an image file, so that everyone can read easily or download this job circular. 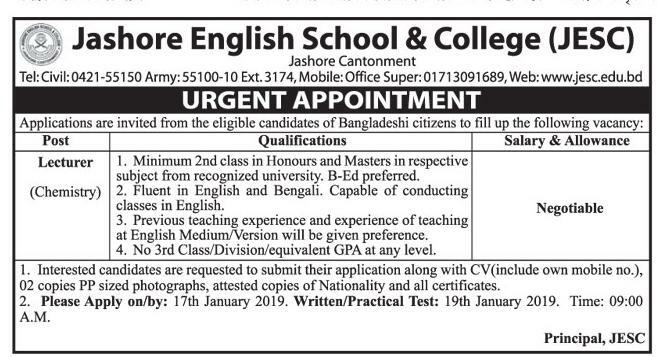 Jessore English School & College Job Circular has been given bellow.